AIPL Warmtone - WarmTone applies tube-like warmth and tape-like compression. WarmTone helps you record rad music on your PC. Forget about spending your money on expensive, analog equipment to produce a warm sound before digitally recording your music. WarmTone allows you to apply the same analog warmth and compression to music recorded directly on the PC. WarmTone allows you to add the sonic richness to digital audio that is usually associated with tube pre-amps and analog tape recorders. By simulating analog tapes and tubes, WarmTone means no more waiting for tubes to warm-up or hassling with worn out tape reels and analog hiss. Plus you get that distinctive, full tube sound! WarmTone applies tube-like warmth and tape-like compression to any instrument. Building on years of research, and analog tube and tape analysis, WarmTone is in a league of its own. Its proprietary algorithm is a major departure from conventional thinking, and based on psychoacoustics and efficient digital signal processing. To prove just how superior WarmTone is to other tube and tape simulators on the market (Cakewalk's Audio FX2, Steinberg's Magneto and Red Valve-It, 3rd Ear's Tube Warmth. ), we urge you to compare. That's how sure we are you'll conclude WarmTone is the best! 1. Increase the level of vocals above the mix 2. Increase the level of the whole mix 3. Guitar distortion (use any Am-Tube, Br-Tube or Tube Blast preset) 4. Dynamically compressing the mix before converting it to MP3, liquid or real audio, thus, improving the final sound quality. Feedback has shown that most users are only increasing the levels by 3 to 6 dB above saturation. They increase the drive level of the "Mellow Blend" preset. Sometimes, they also increase the Envelope level, thus producing a softer knee. If increasing the levels by 6 dB or greater, we recommend using the ProSound button since it will really improve sound quality. In addition, when using soft knee (i.e. large Envelope value), we recommend re-normalizing the data. Unfortunately, a DirectX plug-in cannot normalize since this process requires scanning the whole file first and DirectX is a streaming process. This dynamic range compression allows you make songs that play louder (a.k.a. hotter). This is useful if your music will be played in cars or on inexpensive CD players, as well as before performing digital (bit-rate) compression, such as converting to MP3, liquid or real audio. These are just a few of the uses for WarmTone, and you will find many more. The 24-bit sound-processing algorithm includes the basic non-linear properties of tube pre-amps and tape recorders. By modeling the basic properties in a non-linear fashion, all the desired effects are added to your music, and adjustable! The algorithm does NOT "guess" how a note should sound. Thus, not only are the attack, steady-state and tail phases of your note properly warmed, but all other parameters you, as a musician, may change are also appropriately warmed by this algorithm. Finally, WarmTone leaves computational power for other plug-ins, requiring only 20% of a Pentium 133 processor for real-time previewing. However, if you require extremely accurate sound quality (labeled ProSoundTM by AIPL), you have this too. 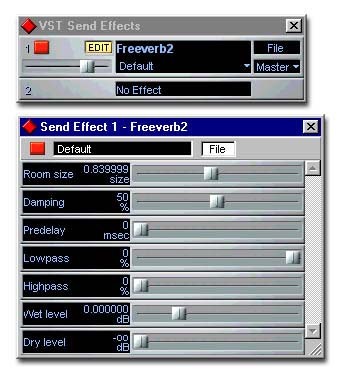 Please note that ProSound is included only in the Professional version, but you can evaluate it in the Shareware and Standard version. As shareware, the standard version is fully-functional, and the pro version, including the ProSoundTM button, is time limited. After purchasing, you can instantly convert the shareware product to a fully-functional Standard or Pro version. The Standard version will not activate the ProSound button, whereas the Pro version does. Both are 24 bit processing. However, ProSound produces cleaner sounds by eliminating digital byproducts. We chose shareware so you could fully evaluate our products, and we could pass the savings on eliminating distribution and packaging costs on to you (as well as saving trees)!